In April Randy called us about his mother’s home and several rental properties. His parents had passed and he and his out of state siblings had inherited not only their parents home in Kansas City but also their rental properties and their tenants. Which is a lot to deal with, even if you are local and especially if you have no rental management experience! 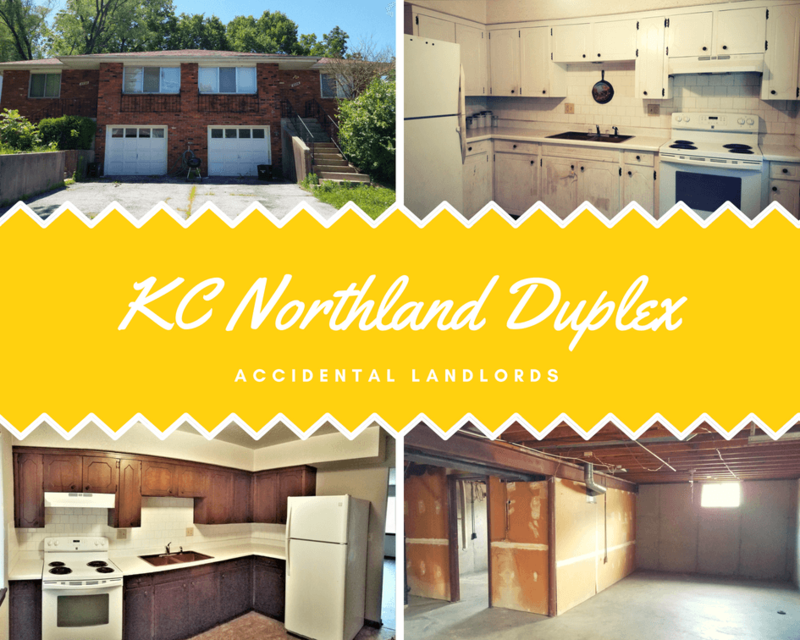 Back in April Scott here at kcmoHomeBuyer was able to assist Randy with a rental property on 44th Street and a few weeks later we were able to buy this duplex on NE 50th Street. Randy and his siblings had been dealing with these properties in Kansas City for over 6 months and were basically tired of the whole thing. They wanted a fair cash offer so they could close this chapter in their lives. Why Accidental Landlords Want to Sell . . . Dealing with an inherited property from close by is tough enough. Cleaning it out, keeping it insured with expensive vacant rental property insurance, keeping the house up and the yard mowed, plus the whole process of getting it sold. Randy had that times 10 as he was out of state and had not only more than one property, but several properties with tenants to deal with. He needed peace of mind and he needed his life back . . he still had his own home, his own life, his own family and his own job at home on top of this additional burden. It’s one thing to clean out mom and dad’s old house. It’s totally another to be chasing after rent and worrying about if the tenant is going to damage the house. And it’s a whole different kick in the pants if the tenant decides to stop paying rent. If that were to happen, Randy and his siblings would have needed to add eviction proceedings to the list of things they had to deal with. And it’s important to remember, being a landlord was not something that the Accidental Landlord signed up for. In this case, it was something that was dumped on them and they did not have the time, the money or the expertise to deal with the whole mess. If you find yourself the heir to a property and in the position of being an accidental landlord, if you want to give it a go, seek out the local real estate investment group or landlord association for tips on finding good leases, good screening services, good contractors and good property managers. If you would rather just skip the whole process, take a minute to tell us about your rental property online or give us a call at 816-800-9044 and see what he may be able to offer to take that problem property or properties off your hands.